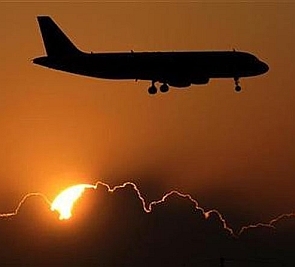 An unidentified aircraft caused a security scare in Mumbai airspace on Saturday after it was spotted by an Etihad Airways flight and reported to the air traffic control, official sources said. The incident was also reported to the Chennai ATC to establish the identity of the plane, the sources said. However, the sources did not divulge the make of the aircraft or whether it was a civilian or a military plane, as reported by the aircraft of the Etihad Airways which was flying from its home base of Abu Dhabi to Jakarta. Investigations have been launched by the air traffic control, which is under the Airports Authority of India, and other security agencies, the sources said. The incident caused panic among the aviation authorities as they were reminded of the 1995 Purulia arms drop case. On the night of December 17, 1995, a Latvian aircraft dropped a large consignment of arms, including several hundred AK-47 rifles and over a million rounds of ammunition, on a large area in Jhalda, Ghatanga, Belamu, Maramu villages of Purulia district of West Bengal. Several days later, when the plane re-entered the Indian airspace, it was intercepted by the Indian Air Force MiG-21 and forced to land. Five Latvian crew members and Peter Bleach, a British citizen and an ex Special Air Service operative-turned- mercenary, were arrested and imprisoned for life but released later. The alleged mastermind, Kim Davy, a Danish citizen, gave the slip and has not yet been arrested.